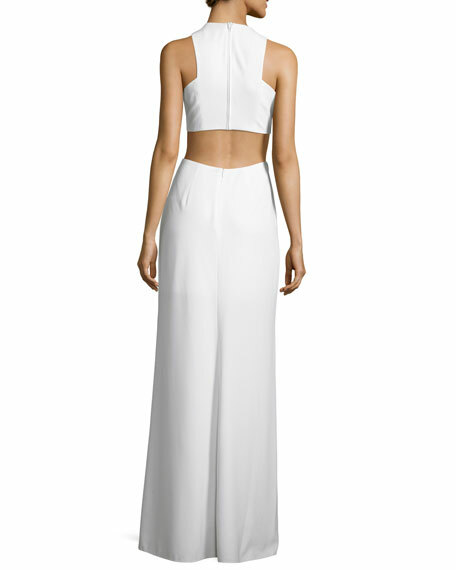 Halston Heritage evening gown in stretch crepe. Approx. 50"L from back waist to hem. Zip at back and seat. For in-store inquiries, use sku #2142857.